Celebrating Colin and his Remarkable Life, written by his father. 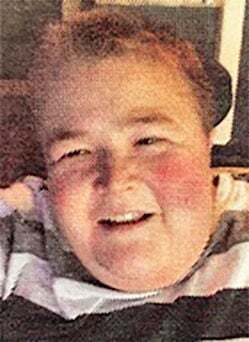 Colin Duane Cartier passed away Dec. 13, 2018, at the age of 25 after a long, courageous battle with Duchenne’s Muscular Dystrophy. Although passing as a young man, Colin impacted all who knew him with his astonishing personality. Colin will forever be remembered fondly by his parents, Steve and Deanna, his sister Marisa, his brother Scott, his entire loving family and all who knew him. Colin was loved by all he touched: “Kindhearted,” “positive outlook,” “strong” and “inspirational” described Colin. Choosing to get the most out of life, Colin never complained about his condition or pain. Everyone who knew Colin enjoyed the sheer pleasure of his company and the way he made them feel. His smile, his laugh, his love will surely be a lasting memory of him. His cheerful presence will be missed most of all. We have been blessed to have the amount of time we did with our loving son, each and every day of our lives. Colin’s passing has shattered our lives and while it will take a great deal of time to put the pieces back together, a large piece will forever be missing. Colin spent his life giving, volunteering and participating in medical research in hopes of a cure for muscular dystrophy. He continued his generous legacy even after his life ended by being an organ donor. Colin loved the outdoors, cooking, loud cars and his family very much. His engagement with life, his loving family and exceptional care are why he was able to outrun this disease for so long. Colin’s family extends their heartful thanks to all Colin’s caring and compassionate health care professionals. All who cared for Colin always commented on Colin’s kindness and appreciation of them. A celebration of Colin’s life will be held at Lewis River Golf Course on Jan. 19, from 1 p.m. to 3 p.m.
His guest book is available at www.penttilaschapel.com.